“Scientists prove telecommuting is awesome,” went the headlines about a recently published study on the effect on telecommuting on Chinese workers, which was also discussed in Slate. Researchers from Stanford University tracked the productivity of 255 employees in a Chinese travel agency who had been randomly selected to work from home. Because the telecommuters took more calls and missed less work than their counterparts in the office, the experiment was deemed a success. 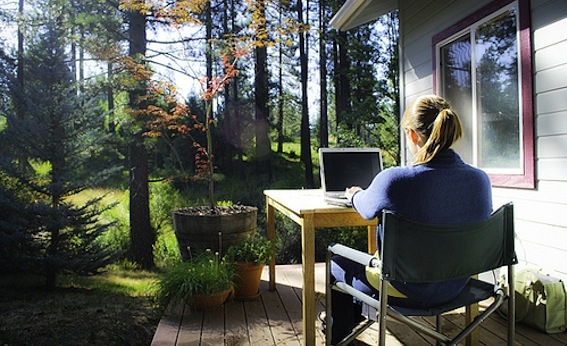 Telecommuting for all! Not so fast. The preliminary results from the Stanford study had lots of graphs, charts, and statistics to lead you to believe that you’re looking at definitive results. But a lot of people are drawing very big conclusions from a hugely incomplete discussion about culture, and the study doesn’t defend the notion that what’s good (or bad) for Chinese workers is good (or bad) for Americans. Just because a Chinese worker is more productive at home doesn’t mean an American will be, too. I called Sumita Raghuram, an associate professor at Penn State University, who has been studying telecommuting through a cultural lens for 18 years, in places like the United States, China, Europe, and India. She says many significant cultural issues have to be taken into account when it comes to determining the success or failure of telecommuting arrangements, from the way that supervisors’ gain their power, to how comfortable people feel working alone or in groups, and whether or not individuals have a high need for certainty. In other words, if you’re trying to persuade your boss to let you work from home, these aren’t the findings to trot out. Can Heartbreak Break A Man?